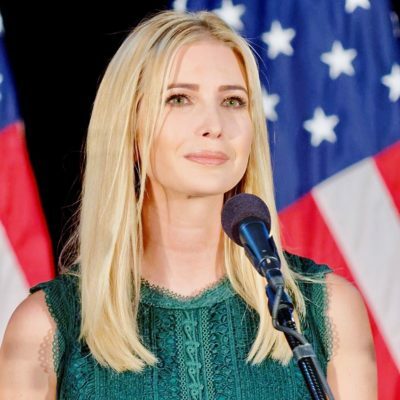 Although comedian Samantha Bee has been criticized for using the “c” word in describing by CNN news reader Brooke Baldwin and former First Daughter Chelsea Clinton, more and more celebs are coming out in support of Bee. If you are unaware of this most recent commotion, you can catch up by reading Victory Girls’ own Deanna Fisher’s post here. TBS, the station that airs Bee’s “Full Frontal” program has apologized and Bee has apologized so we should all just move on to the next scandal, right? Except it’s not that simple anymore. We, on The Right, are on to this little charade and we are not playing the reindeer games anymore. That’s why it makes no sense that celebs are coming out in support of the rightness of Samantha Bee to call the beautiful and smart Ivanka Trump. Of course, Bee has the First Amendment right to call Ivanka Trump a canker sore if she chooses, but that doesn’t mean it is right. 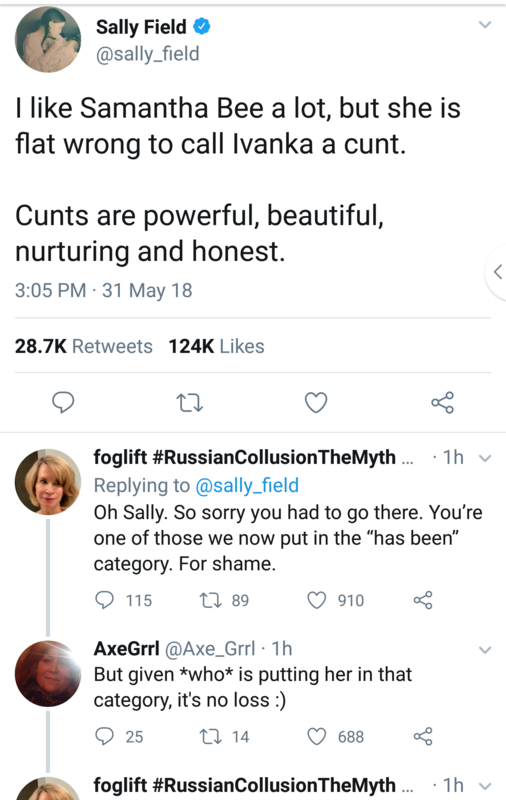 And, why do people like Sally Field (???) and the Chief Beheader Kathy Griffin feel the need to open their yaps. It’s just no necessary. That’s just ugly and mean and unnecessary. It’s not clever or funny. It’s ugly. 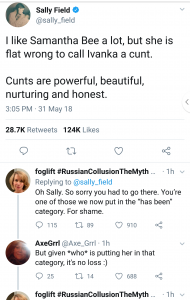 These women are examples of “Toxic Femininity”. It ain’t a false equivalence. It’s real. And, it’s as bitter, angry, disappointed and as snarling as these women. 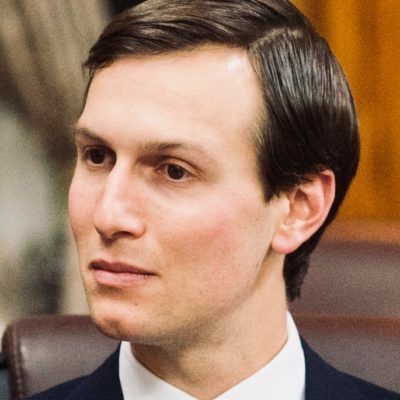 What’s wrong with being charming and gracious like Ambassador Nikki Haley, Communications Director Sarah Sanders, First Lady Melania Trump and First Daughter Ivanka Trump. Here is a starter course on good manners. We can all use a refresher from time to time. I think we should delve deeper into the causes and consequences of “Toxic Femininity”. I will have to study up and write some more. What is causing these women to be so mean and ugly. It can’t be ideology. It must be something deeper. Will House Dems Target Ivanka Trump? 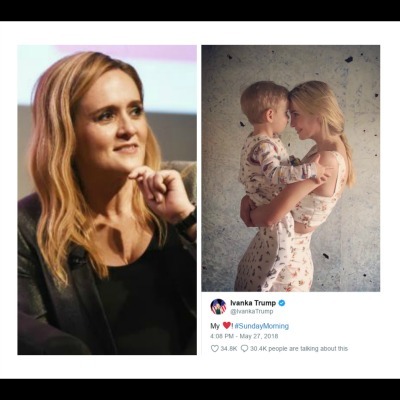 Although comedian Samantha Bee has been criticized for using the “c” word in describing by CNN news reader Brooke Baldwin and former First Daughter Chelsea Clinton, more and more celebs are coming out in support of Bee. Seems like something is missing in there. Overwrite a clause? 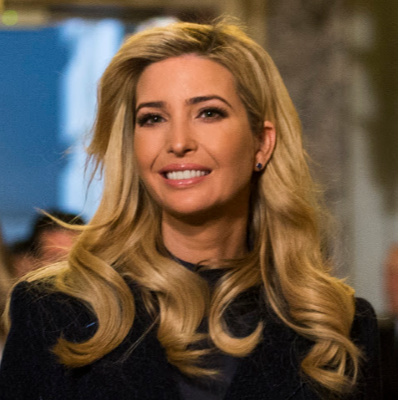 That’s why it makes no sense that celebs are coming out in support of the rightness of Samantha Bee to call the beautiful and smart Ivanka Trump. Missing a phrase here, too? That would be former Chief. And, really, she was more of a cheerleader – I doubt she would ever sully her hands with actual work. As to “Toxic Femininity”? It isn’t the ideology, it’s the people. The ideology is simply an excuse, created to justify the evil and hatred these harpies feel. Do these women understand that what ever toxins are flowing through their souls show up on their faces and make them the ugliest of all the human sort? Toxic Femininity is born of misandry.